The tranquil atmosphere of San Jose Del Cabo beckons travelers seeking rest, relaxation, and romance. Situated next to Cabo San Lucas, this resort town is in close enough proximity to enjoy the excitement and energy of Cabo when desired but far enough away to indulge in a more quiet, secluded environment. So if you're looking to soak up some R&R in beautiful Baja California, look no further than San Jose Del Cabo. This desirable vacation destination is home to many resorts and hotels, and you can simplify your trip planning process by booking your accommodations through Vacatia. Instead of feeling overwhelmed by the vast selection of resorts in the area, work with Vacatia to narrow your search of San Jose Del Cabo resorts. Vacatia's easy-to-use search tool and its helpful Guest Care team will ensure that you find exactly what you're looking for in this popular Baja California destination. When you stay at a Vacatia vacation rental, you'll be able to enjoy all that this picturesque Mexico hotspot has to offer. The warm weather, beautiful beaches, and world-class resorts of San Jose Del Cabo have made this beachside town one of the most popular destinations in Mexico. 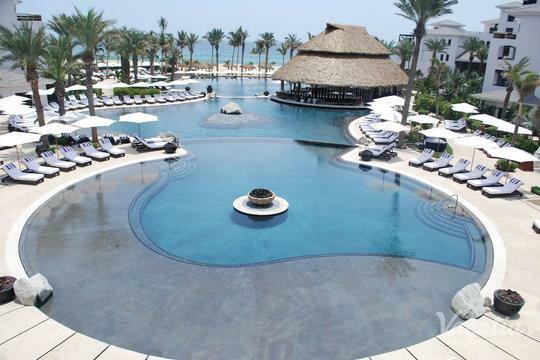 Because of its popularity, San Jose Del Cabo is home to a wide array of resorts and San Jose Del Cabo hotels. 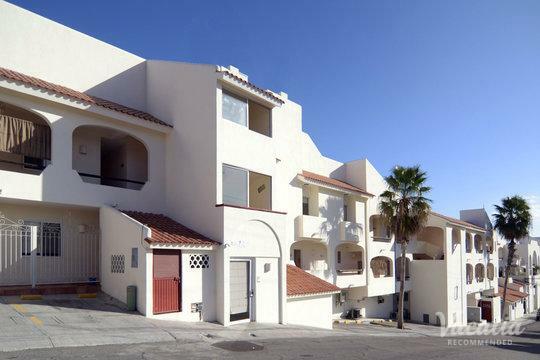 Rather than booking your stay at a hotel, you could work with Vacatia to book your stay at one of the best San Jose Del Cabo rentals available. When you book your accommodations through Vacatia, you will be staying in a spacious, comfortable vacation rental rather than a small, crowded hotel room. Vacatia's rental properties come with the space and comforts of a condo, including a fully equipped kitchen, as well as the luxury services of a resort. Vacatia can help you make the most of your time in this Mexico paradise by providing you with an exceptional vacation rental, which will quickly become your beloved home away from home. You'll love returning to this spacious, comfortable rental after a long day soaking up the warm, heavenly Baja California sunshine. San Jose Del Cabo is situated on the tip of Baja California, where there are long stretches of beautiful beaches and gorgeous weather. Located right next to Cabo San Lucas, San Jose Del Cabo is a spot ideally located for those who want to spend their time in Mexico enjoying the sun, the surf, and the relaxing atmosphere of the beach. It's also close enough to the lively Cabo San Lucas so that visitors that want to experience the energy, excitement, and nightlife of Cabo can easily do so. No matter what you have planned for your time in San Jose Del Cabo, you should work with Vacatia to ensure that your Mexico getaway is unforgettable. You can find your very own private paradise in a San Jose Del Cabo resort when you use Vacatia to book your accommodations in this Baja California gem.